Maerua Mall in Windhoek, Namibia is currently undergoing refurbishment with the intentions of being more than just a shopping mall. They also intend to live up to their new motto ‘Be part of the family’. Carel Fourie, CEO of Oryx Properties, the owner of the centre confirmed the reports. He says that the mall will offer a variety of stuff and will also keep shoppers entertained. “The motivation behind the refurbishment is the desire to create a place for Namibians to not only have a great shopping experience, but also have safe, fun activities to keep the whole family entertained,” Fourie explains. 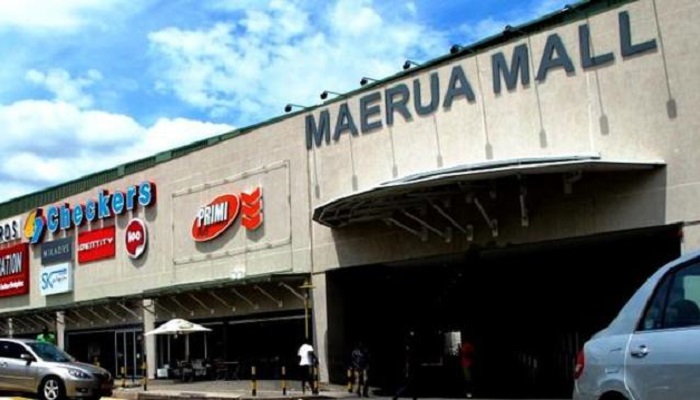 Maerua Mall was built on 54 128 m2 to serve 750 000 monthly shoppers and over 9 million yearly shoppers. Recently, there was the addition of 518 new parking bays on the existing 1712. This will cater for the increasing volumes of shoppers on a regular basis. Built over two levels, the mall has a trampoline and climbing-wall centre. Moreover, it also has an indoor playpark, glow-in-the-dark mini-golf, a bowling alley and a gaming area. Additionally, the mall also has a unique indoor mini-golf adventure with glowing under black lights. A first for Namibia, the 18-hole course with its sensors and interactive objects provides a fun, affordable and novel activity for family members of all ages. Furthermore, a few new restaurants are present at Maerua Mall’s comprehensive array, including the first John Dory’s seafood outlet in Windhoek and the very popular Cappello. The main anchor stores include Checkers, Food Lovers Market, Edgars, Boardmans, House & Home, Hi Fi Corporation, Mr Price, Mr Price Home, Woolworths, Stuttafords and Virgin Active.